What if your every customer was a brand ambassador? All your website and app users automatically get a digital wallet which you can use to reward them. Instant onboarding and no more signups or downloads! You can reward users for example for making purchases or referring new users, boosting your user acquisition and retention. Your rewards can be any digital products with real-life value to your users, such as local mobile airtime, discount coupons and tickets. 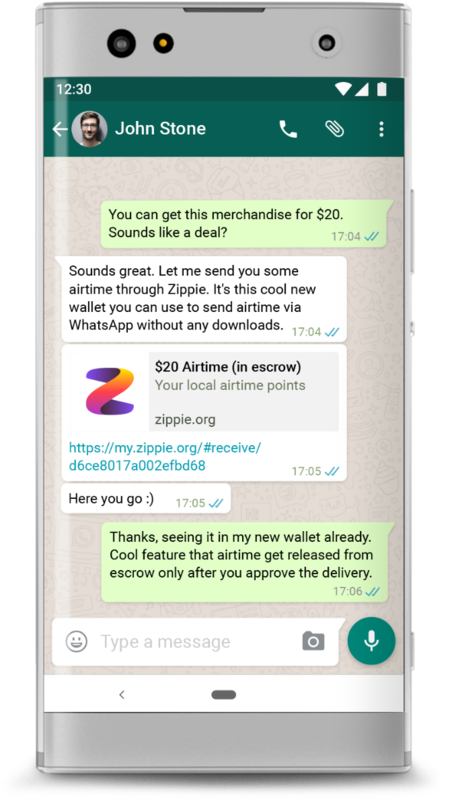 Your users can easily share their rewards such as airtime to their friends via WhatsApp or any other messenger, and grow your community. Zippie rewards wallet integrates seamlessly to your website, app and chatbot, and can be customized according to your brand. The wallet is extremely user friendly while leveraging the power and security of the blockchain. Your every wallet user is given a cryptographically secured, unique digital identity. This ID works on all of your services and other Zippie connected services on any Android, iOS or desktop device. Coming soon: Through the Zippie wallet, your users can access their favorite online stores and earn cashback and rewards that are automatically added to their wallet. This gives your users a good reason to do all their online shopping through your website and app. Zippie provides easy to use APIs, comprehensive documentation and integration support for your team to make it a breeze to integrate Zippie wallet with your product. With the automatic Zippie sign in, your users get their very own digital ID and wallet instantly without having to manually input their personal information. Zero friction, 100% onboarding rate, and you can start rewarding your users instantly. Create virtually any time of digital reward, loyalty point or discount coupon with the Zippie dashboard. Rewards are stored in users' encrypted Zippie wallet and can be accumulated by the user through actions such as online shopping, in-app payments or new user referrals. Sending value between Zippie wallets is instant and borderless, due to a blockchain-powered escrow smart contract which doesn’t require banks as middlemen. 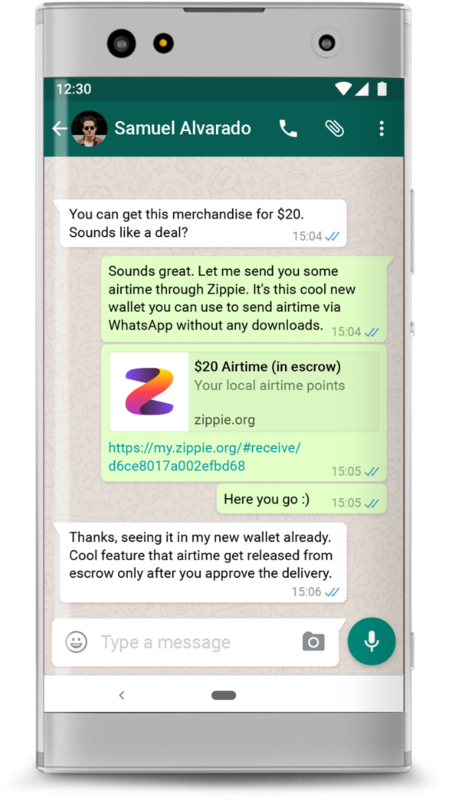 The transaction link can be shared through any messenger such as WhatsApp. 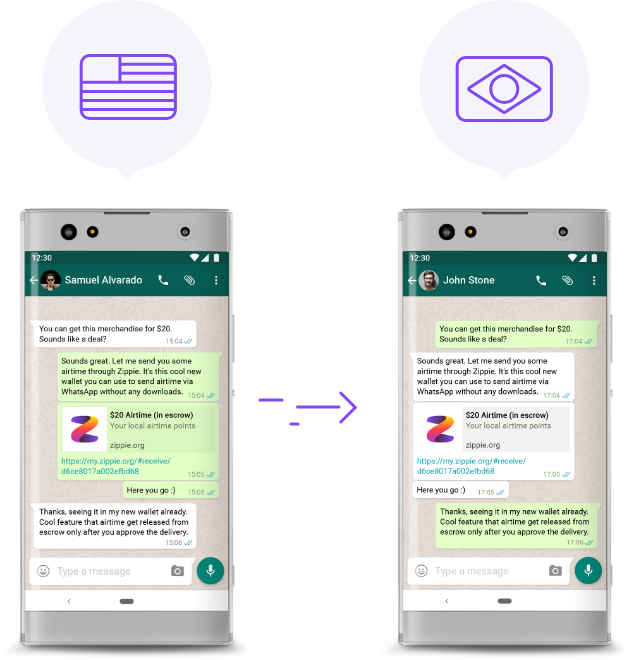 Transferring works even if the recipient doesn’t have a Zippie wallet yet, as they will be created one automatically when they redeem the received value. What’s in it for Mobile Operators to partner with Zippie? Reach the whole Zippie user base with your online offers through our easy to access affiliate marketplace, where you can integrate your loyalty-adding customer rewards and bonuses to every purchase. Feeling is believing. You can share rewards to your new and existing users also via the Zippie Card. The card is easy to hand out or offer in physical stores, and is secured through standard and proven credit card technology.